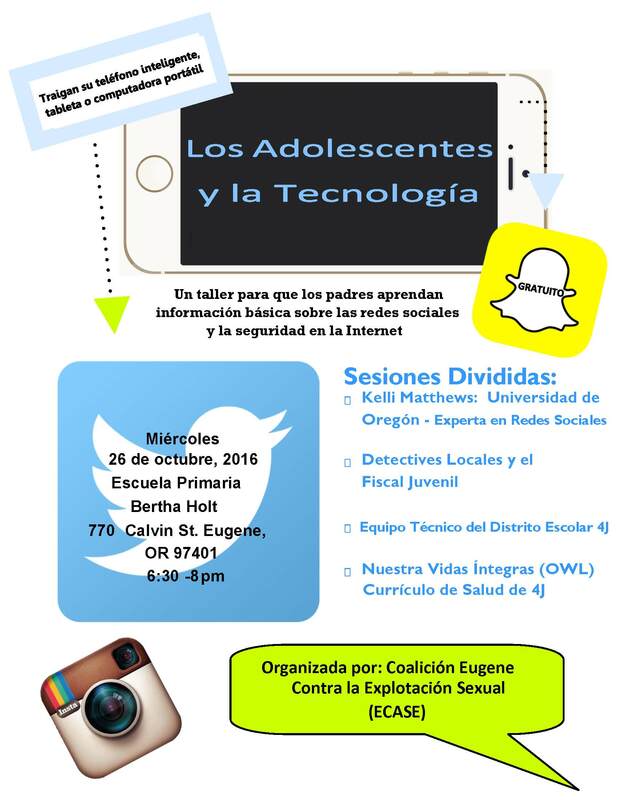 This is a FREE event about cyber safety for community members including parents, educators, and care providers – anyone who has an interest in protecting our youth. 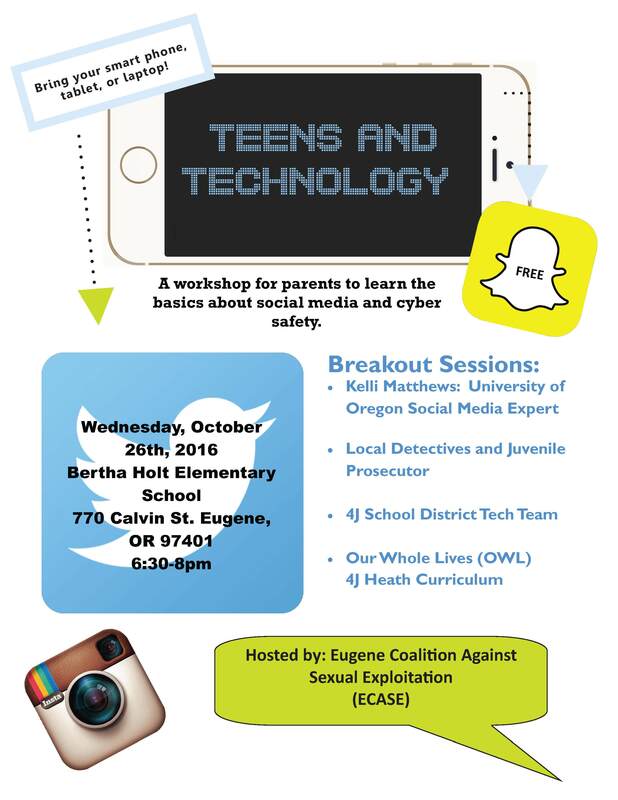 You’ll hear from the DA’s office, Springfield Police Dept., a UO social media expert, and the 4J technology team about the reality of the cyber world for tweens and teens. Bring your smart phone, tablet or laptop! Come for the inside scoop on how to protect your child, tween, or teen. Learn about the dangers of social media, as well as the reality of its uses in today’s world.